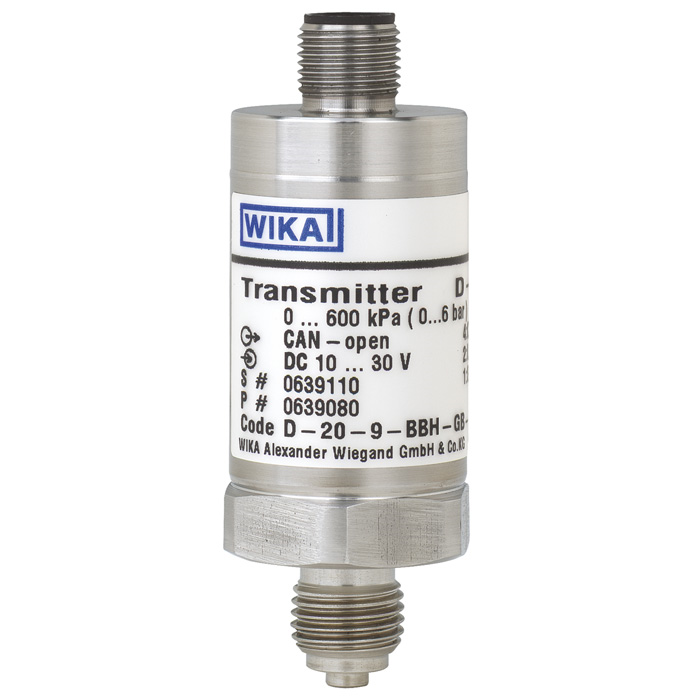 The model D-20-9 and model D-21-9 pressure sensors are the ideal solution in the field of industrial pressure measurement when a high-performance yet cost-effective solution with a CANopen interface is needed. 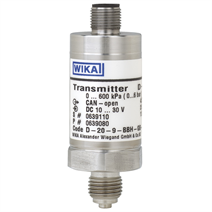 These pressure sensors feature a high accuracy and flexibility with their alignment to the widest variety of measuring tasks. All wetted parts are made of stainless steel and are hermetically welded. Therefore there is no need for additional sealing material, which could possibly react with the pressure medium. The integrated interface has been designed according to the CANopen® specification DS-301 of the user organisation CiA. The device profile DS-404 which is used here, has been specially designed by the CiA for the use in measuring and control instruments. This guarantees the compatibility with other CANopen® systems according to CiA specification. A galvanic isolation of the output signal can be offered as an optional extra. The D-2X-9 supports, among others, LSS, Node Guarding, Heartbeat, synchronous and asynchronous data transmission. The Baud rate can be adjusted from 20 K Baud up to 1 M Baud. Configuration via a DIP switch is offered as an optional extra. For easy configuration the tool EasyCom CANopen® is available.